In 2012, OilCareers.com wanted to increase its market visibility and position itself at the heart of energy recruitment. With the Offshore Technology Conference in Houston looming, we created a campaign that attracted attention from thousands of conference attendees. In doing so, we increased both stand and website footfall compared with 2011. We made sure OilCareers.com held its own against competitors with bigger stands and larger budgets by hosting a traffic lights party. Borrowed from the US college dating scene, a traffic lights party allows guests to signal their intentions at a glance. 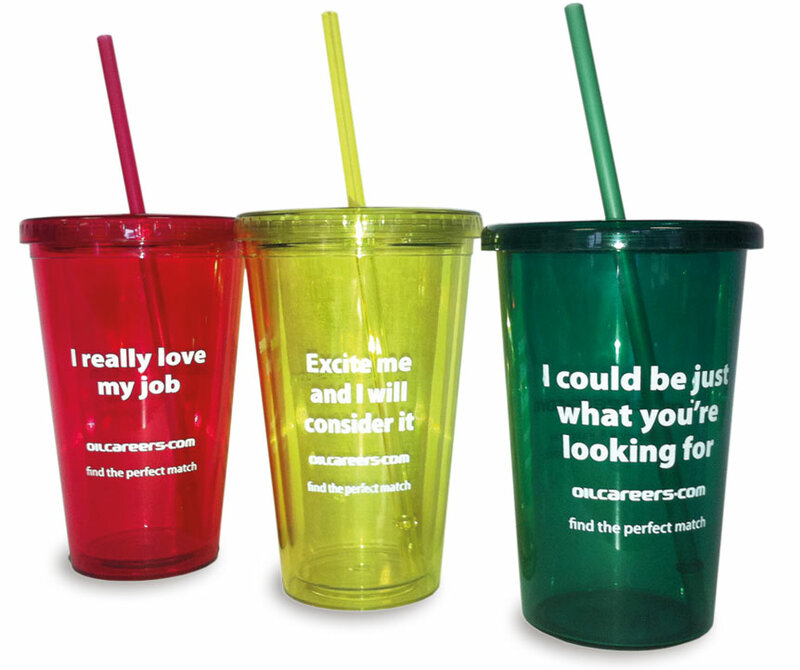 In OilCareers.com's case this meant distributing free drinks and asking visitors to select a coloured cup based on three colours. 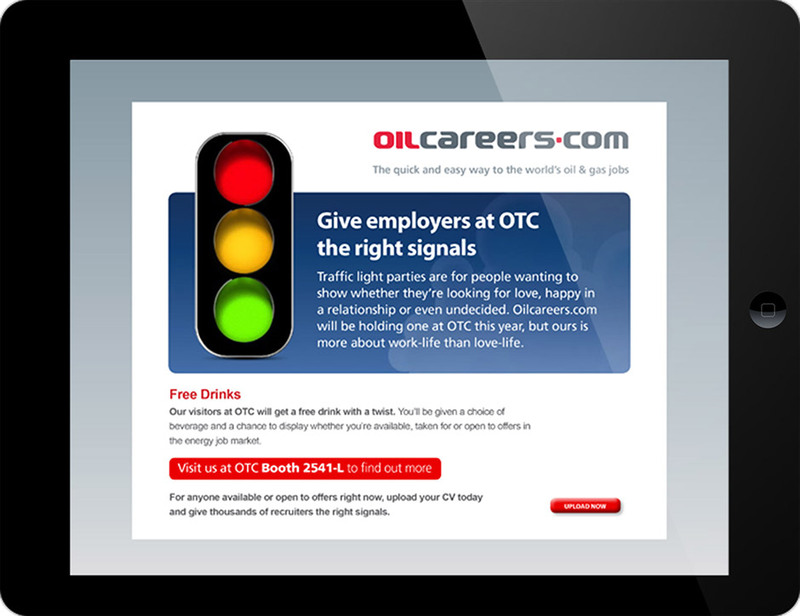 With every visitor having to signal his or her career intentions to get their free drink, the concept allowed OilCareers.com to engage every single visitor to the stand in valuable conversation. Pre-event, online and offline PR activity invited stakeholders to join the ‘party’. Once at the show, guests were greeted with a multi-sensory stand that used music, colour, drinks and even dancers in coloured morph-suits to entice conference delegates to come and find out more. We extended the impact of the party beyond the confines of the show by sending branded dancers out to perform across the city. As a result, footfall and web traffic both increased and dwell time on the stand multiplied ten-fold. So strong was post-show momentum that we immediately began the build-up to subsequent industry events, and the concept has gone on to stand the test of time. The human traffic light campaign went on to win eight awards on both sides of the Atlantic. In 2012, the campaign won gold in the special event category of the Marcom Awards and best marketing campaign in the MiAwards. In 2013 it won platinum in the integrated marketing/event marketing category at the Hermes Creative Awards as well as receiving an award of excellence in the face-to-face marketing category at the BMA B2 Awards. Finally, the campaign was recognised at the PRSA Houston Excalibur Awards, winning silver in the external communications campaign category, bronze in the integrated marketing campaign category, bronze in the experimental marketing category and bronze in the trade show category.